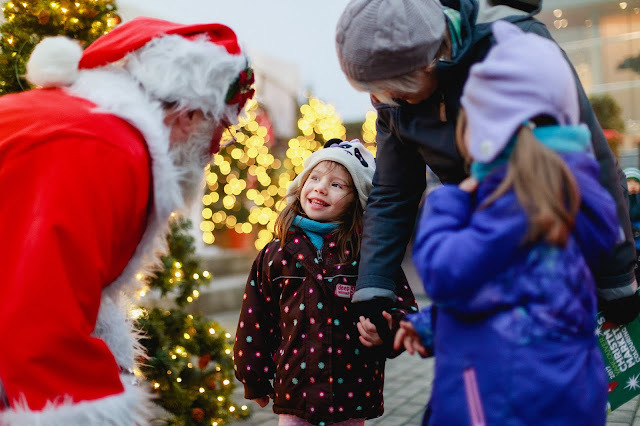 The Vancouver Christmas Market returns to Vancouver's Jack Poole Plaza at the Olympic Cauldron for the holidays -- opening Wednesday, November 21 and running through Christmas Eve, December 24. 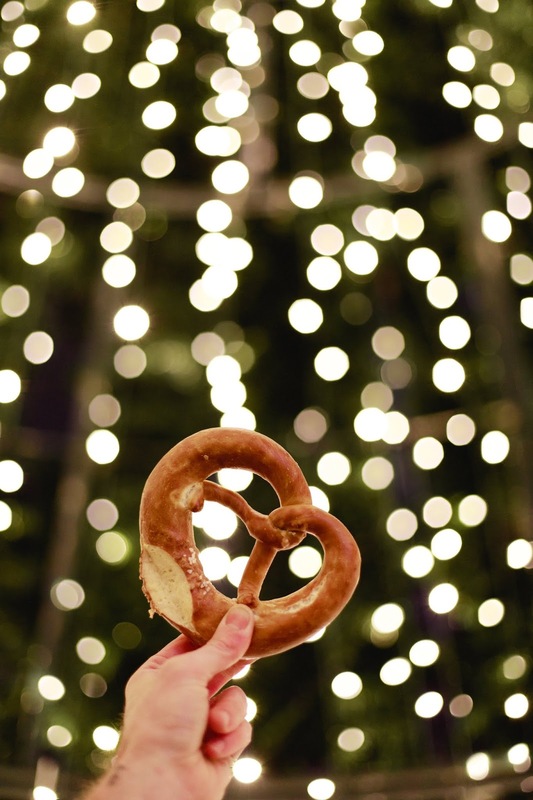 This year's ninth edition of the German-inspired festivities has extended hours from 11:30AM to 9:30PM daily. The traditional German-style Christmas Market feature 80 huts stuffed with authentic sweets, treats and treasures. There is also a line-up of family-friendly activities plus live entertainment. Among this year's expanded highlights is the heated Alpine Lounge, a place to relax and enjoy hot beverages and food in a cozy environment. Also new is the Winterdeck, located next to the Alpine Lounge. The space features a festive entrance arch, giant lit-up picture frame and views across Burrard Inlet to the North Shore. There is even a Lovers' Lane -- an Instagram-worthy tunnel festooned with 10,000 twinkling lights and mistletoe. Tying in with the love theme is a Love Lock Installation near the tunnel to which can be attached Vancouver Christmas Market Love Locks (available for $3 or bring your own). 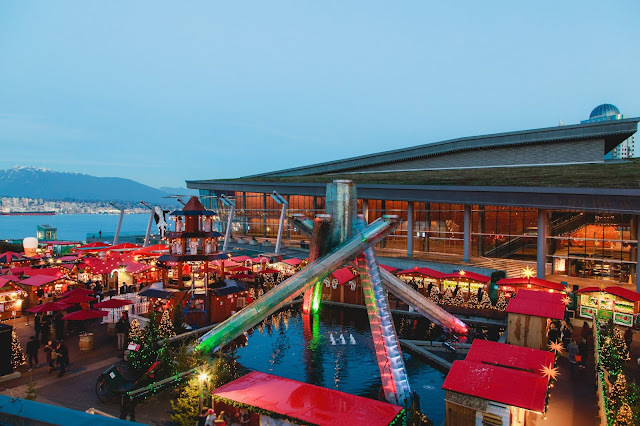 For the wee ones, Santa will be floating underneath the Olympic Cauldron in a 12-ft. sleigh. And this year marks the return of Canada's first-ever Walk-In Christmas Tree, adorned with 36,000 twinkling lights. Shopping: Do your holiday shopping while perusing the dozens of booths featuring everything from jewelry to polar fleece, German beer steins to holiday ornaments made in Germany. There's even a booth selling Ugly Christmas Sweaters. Children's highlights: Christmas Carousel, Kinder Kraft Igloo, Santa Photo Hut and cookie decorating at Gingerbread Haus.